A teachers’ union leader says the legislature should aim to better fund a “critical combination” of salary, health care and classroom resources. Monday, about 34,000 teachers will walk off the job in Los Angeles – a move described as “historic.” It echoes what happened almost a year ago when a West Virginia teacher walkout triggered similar strikes elsewhere in the US. Teachers all over the country are lobbying for higher pay. Here in Texas, 10 percent of all first-year teachers leave their jobs before their second year. Better pay may be key to keeping more of them in the classroom, and last week, top state lawmakers pledged that 2019 will be the “Year of the Teacher” in the Texas Legislature, promising to boost salaries. But there’s still many details yet to be decided. Noel Candelaria is president of the Texas State Teachers Association, and says Texas teachers’ pay is based on a minimum-salary scale set by the legislature and also by the salary scale determined by local school boards. “Each individual district has the opportunity, then, to pay teachers above the minimum state salary,” Candelaria says. He says the state minimum annual salary is $29,000, but even most entry- level jobs will pay more because school districts want to attract teachers, especially to rural areas. He says the average teacher’s salary is $53,000. “[It’s] $7,300 below the national average,” Candelaria says. 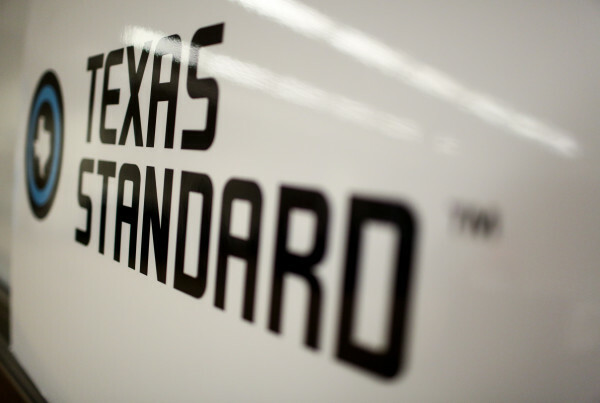 “[It’s] completely eroded buying power for teachers in the state of Texas,” Candelaria says. Candelaria says he’s looking for state lawmakers who’ve promised change to make up the $5.4 billion that was cut from public school funding in 2011. He also wants them to consider using some of the rainy day fund and some of the state’s revenue, which he says is about $9 billion higher than during the last legislative session. He says the money would go toward salaries, health care and to improve teachers’ work environment. “The average teacher in Texas spends over $700 out of pocket,” Candelaria says. But he doesn’t want the whole conversation in the legislature to be focused just on salary. “We have to make sure that it is a critical combination because we want to attract and retain the best teachers in Texas,” Candelaria says. Retaining them also means salaries will have to improve over the lifetime of a teacher’s career, Candelaria says. “Right now, the difference between a first-year teacher and a 30-year veteran – it’s only about a $12,000 difference when you look at salary,” Candelaria says.